C.J. 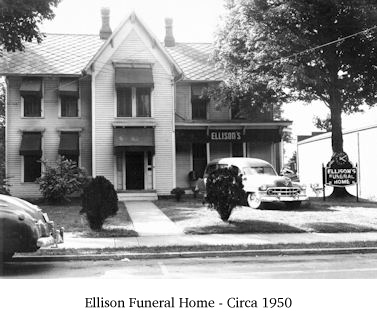 Ellison and Ray Ellison Started Ellison Funeral in 1939. They purchased the funeral home from Howard Funeral Home which was located on Cumberland Avenue in Williamsburg. CJ and Ray moved the funeral home to its present location at 512 Main Street on January 5, 1948 which they purchased from Cumberland College. The property was formerly known as the Finley Home. Carl and Marie soon purchased the entire business. 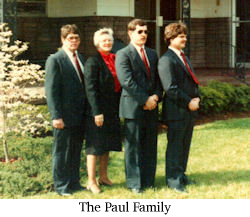 Carl and Marie along with their sons Richard and Jim operated the funeral home as a family until Carl's Death in May 2001. Richard passed away in August 2003 and Jim passed away in September 2012. In January of 2014 Marie Paul sold her interest in Ellison Funeral Home to Crayton G. & Teresa Ellison, both are lifelong residents of Williamsburg. They have two children Jacob and Rachel. 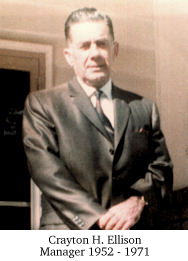 Crayton is the son of Crayton H. Ellison and the Grandson of former owner C.J. Ellison. He is a third generation Ellison to work in the funeral industry in Williamsburg. He has over 35 years experience in the funeral industry. 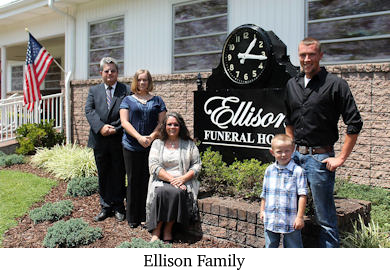 At Ellison Funeral Home, we promise to serve our families in that same professional, dignified, and personal manner that C.J. and Ray Ellison provided for their families for over 75 years.